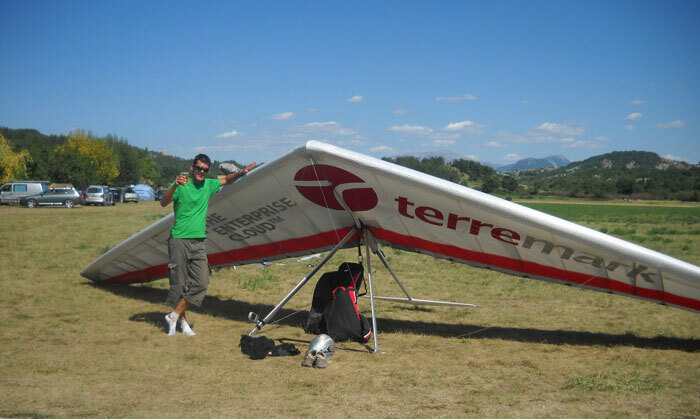 The 2010 Belgian Open Hang Gliding Championship was held in July 25th until July 31st in Laragne, France. The Championship was organized as a FAI category 2 event. There were three tasks flown with distances ranged from 75km to 105km. The championship won by young talented Belgian pilot Jochen Zeischka flying Aeros Combat 09 14.2, leaving all competitors far behind. Well done Jochen! On second place is Tom Haagdorens flying Aeros Combat 09. On third place is Malcolm Brown from Grate Britain flying Icaro Laminar Z9.